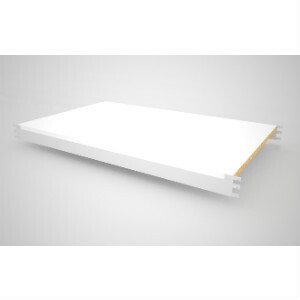 Heavy duty shelf beams complete with chipboard or melamine shelves for Trimline storage shelving. Heavy duty shelves are available in widths up to 1830mm for bulky items. 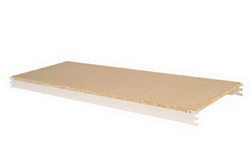 15mm thick chipboard is supplied for 305mm, 381mm, 457mm and 610mm deep shelves.